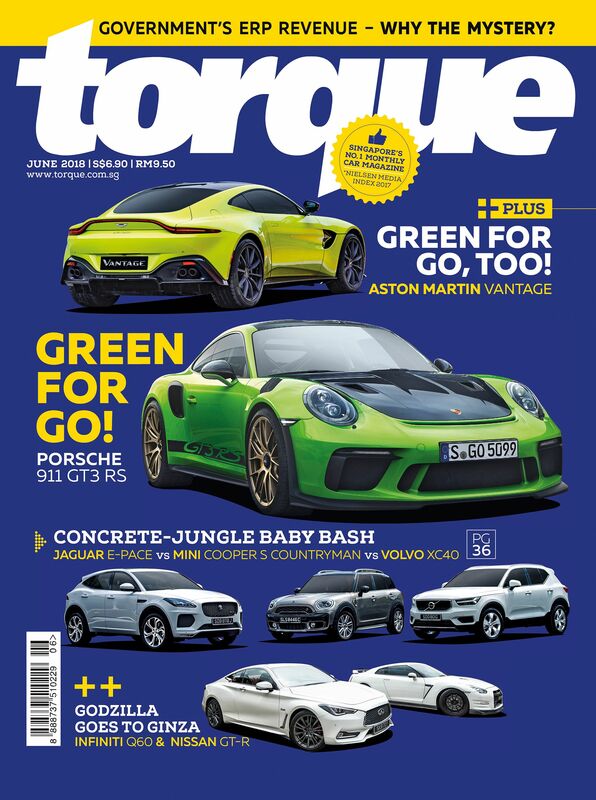 The World Cup will soon be upon us and this month's cover of Torque is graced by two powerhouses - one from Germany, and the other from Britain. The Porsche 911 GT3 RS clocks a 3.2-second century sprint and 312kmh maximum velocity, while the Aston Martin Vantage is pretty well-matched with a 3.6-second timing and 314kmh top whack. Find out which scores best for you. If a compact crossover is more your game, then check out this month's group test, which pits the new Jaguar E-Pace against the Mini Cooper S Countryman and Volvo XC40. But if it's an extreme crossover that you are cheering for, there is the Lamborghini Urus between the covers as well. Torque, out at newsstands now.